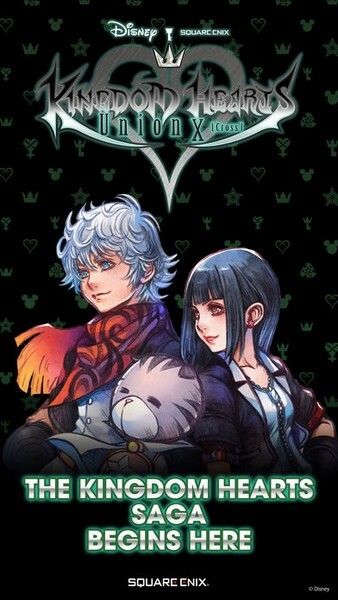 Kingdom Hearts Union X(Cross) is a free-to-play 2D mobile RPG developed by SQUARE ENIX for iOS and Android that is the sequel to Kingdom Hearts Unchained X and further develops the story that took place in Kingdom Hearts X. 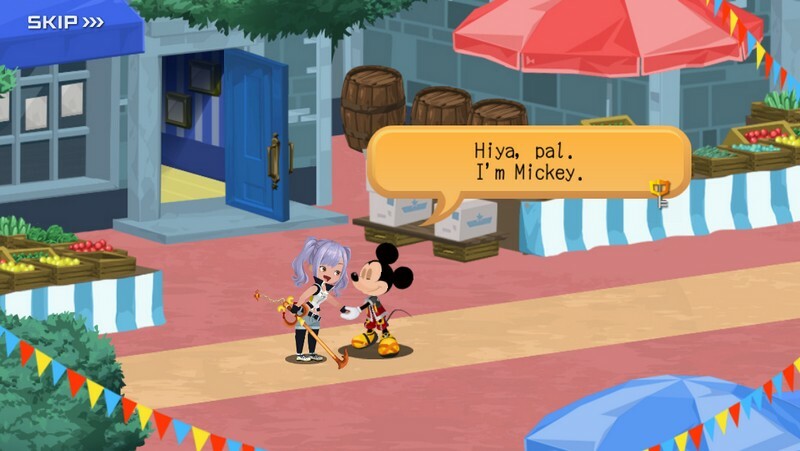 In this installment of the franchise you can encounter both familiar and new faces of the Kingdom Hearts series in a game where you become the hero of your own tale! 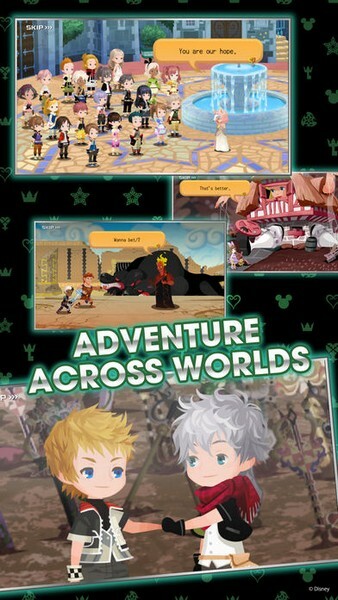 Following the result of the Keyblade War, you are brought to a new realm alongside Skuld and Ephemer where. Upon entering the new realm you and other members of the Dandelions lose all memories of the past world aside from five wielders that are chosen to become Union leaders. It is now your job to help the Dandelions and the new Union Leaders on their mission to explore the mysteries of this new realm. 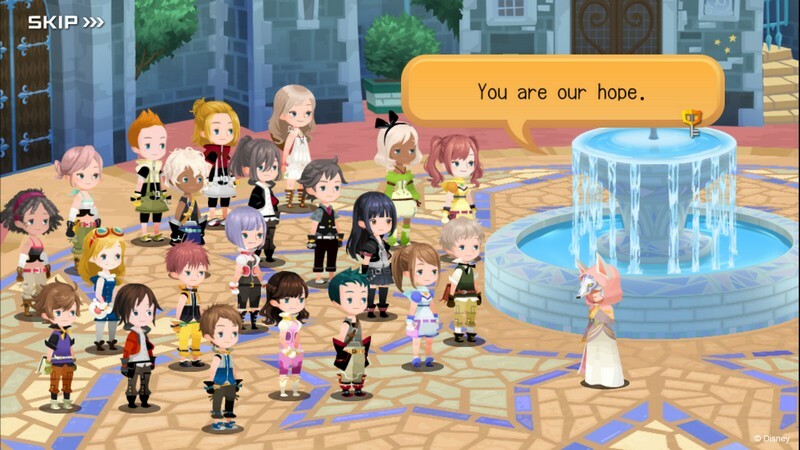 Favorite Franchise Characters: As is typical of the Kingdom Hearts series you can team up with some of your favorite Disney and Final Fantasy characters who will aid you on your quest. Avatar Customization: Customize your avatar with different seasonal, event, and character-themed parts so you can fight in style. 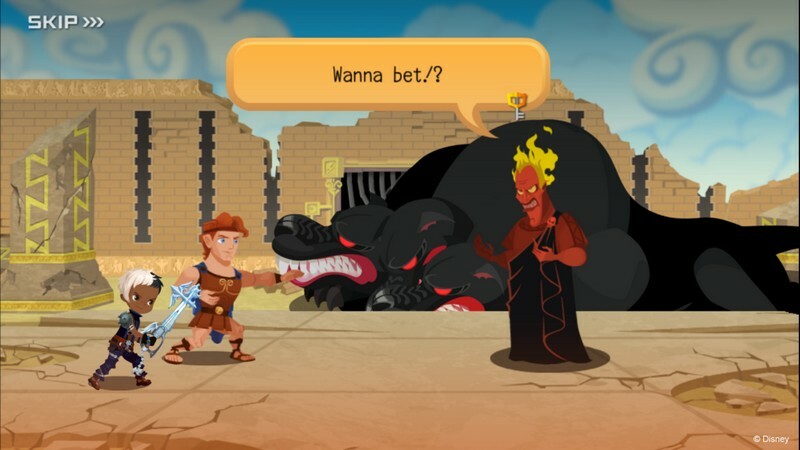 Multiplayer Missions: Cooperate with up to 6 of your friends to explore stages and take on some of the fiercest foes in the game. 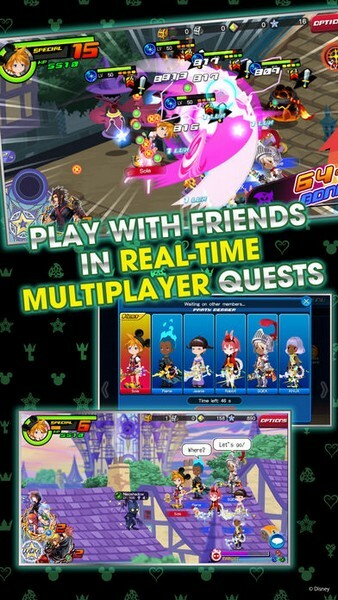 Ranked PvP: Unlock the Coliseum so you can fight against other keyblade wielders and show them how strong you are by increasing your ranking.